When it comes to buying a home abroad, many people opt to build their dream home so they can ensure they get exactly what they envision. Building your own home abroad can be an extremely exciting time, but there are a number of crucial areas you should consider before agreeing to a contract. No matter how romantic and idealistic it may seem to have a home built in a new country, ensure that you know the legalities of doing so. This will save you any unnecessary stress further down the line when your home is completed. When you make the decision to build a home abroad, one of the most important points to consider initially is other real estate in the area and the difficulties you may face when relocating. For many UK citizens, dreams of moving to a foreign country are hampered due to difficult emigration laws in the country they choose. Your first step should always be to find out from a qualified individual whether you’re able to migrate legally to another country. Some countries are easier to get into than others, but all countries require official documentation if you’re planning to stay for good; so check your options. In many cases, you may even need some form of permanent residency to build in your new country unless you’re buying an investment or holiday home, so again, check with the correct authorities first. Financially, some banks and loan companies will only consider loaning you money to build if you’re a citizen or permanent resident. Speak to them before settling on anything, as their decision could ultimately be the decider in whether you are able to build or not. Another important area to research before making any commitments is real estate in the area you hope to build in. Always spend time checking with local real estate agents about resale values, home prices, local amenities and other related subjects. This will help make your location choice an educated one, rather than simply an emotional one. 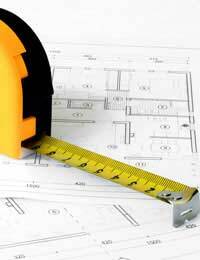 Planning is the key to any successful house build. Once you’ve ensured you’re eligible to build in a certain country, you should start laying the foundations of a good solid relationship with a local builder. Local builders will have the information needed to get the job done at the correct market price and should have an existing extensive list of clients and tradesmen. This will make the process smoother, but again, always research potential builders you’re considering using. Estate agents will be able to advise you on this, but be wary. Many will be making commission from local builders to push their services; likewise if you’re buying land to build on. Landowners may have pre-arranged agreements with certain agents to sell their land for a cut of the overall price. Some may offer home and land packages and again, don’t just take the agent at face value. Speak to a few different individuals and research the area, the builder and the agent if possible. Always try and see previous work the builder has carried out, or speak to previous clients. Builders will be happy to share that information with you if they’re reliable and even if you’re arranging the build from another country, they can email you the information or post you their portfolio. If all your finances, legalities and research have been completed to your satisfaction, it’s time to start with the plans for your home. Choosing the initial design can often be the hardest part, but one you’ve finally decided, it’s up to the builder to oversee the progress of the build. Many will have site manager’s who will keep you up to date with what is happening and often, a good build means you’ll have little to do with the day to day running of the site. Your side of the agreement requires you to make payments on time, but always check that the stage payments are only being made when each stage is fully complete. Don’t pay builders in advance as this can lead to issues, especially if something goes wrong. Keep informed as to the progress and inspect it when you’re able to. Don’t be afraid to ask questions and to query anything you’re unhappy or unsure about. As with the UK, builders abroad are required by law to conduct themselves in the proper way. If you have to travel back and forward to check on your home being built, enquire about low cost accommodation near to the site. If it looks like a long build to have your dream home built, try arranging regular visitor rates with the owner of the accommodation you’ll be staying at.